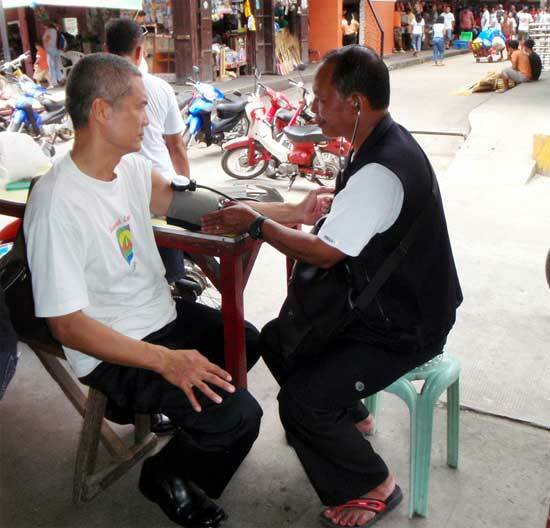 I was enjoying my breakfast budbud and tablea chocolate drink at Dumaguete Market's Painitan area when I noticed a guy walking about, leisurely vending his blood pressure services. 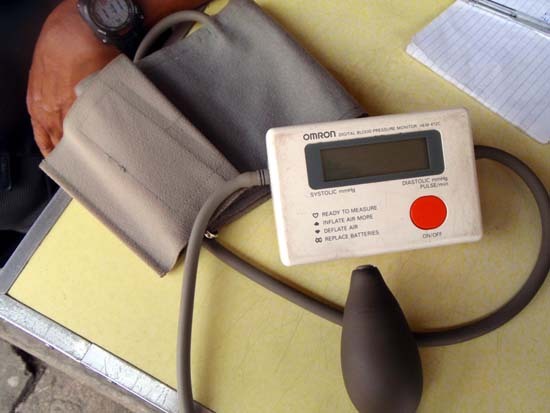 He was equipped with a stethoscope and a digital blood pressure reading instrument. I got curious. I asked him to sit down with me for an interview, and he obliged. His name is Susano Moreño, 53 years old, and has been doing this since 1993. 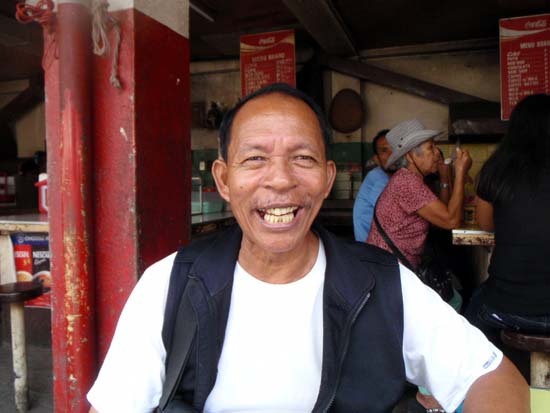 Susano is a pleasant guy who feels privileged to be doing this lofty profession, because according to him, without this training, he would be cutting grass or selling camote to make a living. He has 10 kids, the highest education attainment was grade 6. Challenges: cost of battery for the digital BP instrument. He spends P46/battery and requires 4 batteries, which last less than a month. 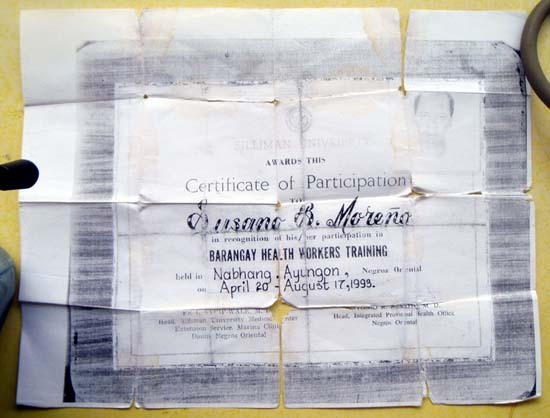 Training: He was trained for 5 months as a barangay health worker at the Silliman University. One of his trainings was to take blood pressure, which became his occupation. I like Sam. He was pleasant to talk to and seemed to take life as it comes to him. By white-collar standard, he's poor. But he seems to be oblivious to that...as should he. He enjoys what he's doing and takes pride in what he has accomplished. I used to think there was no such thing as rich...just varying levels of poverty. With Sam however, being poor but content is not nearly as bad as being rich but empty. I bet he sleeps better at night than most folks. (Oct 3, 2011) meron din ganyan dito sa bacolod gigit.. kaso prepare mo 20 pesos mo pgkatapos.. heheh.